You are invited to join us for some of the best Big Island SCUBA Diving in Hawaii found here, on the Kohala Coast! We at Mauna Lani Sea Adventures offer SCUBA Diving for all levels of experience including beginner programs and certification courses, as well as daily boat and shore dives. We have been operating since 1983, and have over a dozen dive sites within minutes of our own private dock. These sites offer spectacular underwater topography due to the volcanic history of the Big Island. Come and see the amazing lava tubes, caves and archways. Discover the many varieties of hard coral found here. There is finger coral, cauliflower and brain coral, to name just a few. Averaging a depth of 35-55 feet, the Kohala Coast provides an opportunity for all levels of divers to join us. 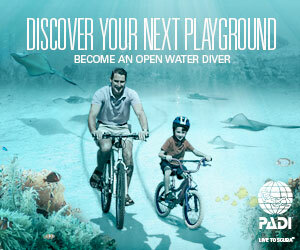 Deeper dives are available upon request for the experienced diver. These coral reefs not only provide beautiful underwater scenery, but are also home to a variety of colorful and unique sea life. The Kohala Coast of the Big Island is home to over 600 species of tropical fish, with many of these species found no where else in the world! Come enjoy our healthy reef and experience first hand the intelligent octopus, the spectacular eels, the graceful Manta and Spotted Eagle Rays and the sleepy Reef Sharks. Swim with the Hawaiian Green Sea Turtle and watch him hover over a “turtle cleaning station” while reef fish clean his shell! We invite you to join us for Hawaii’s best diving! Conveniently located and reasonably priced, our professional staff provides excellent service to meet your individual needs. We offer discounts to those that bring their own gear, provide experienced instructors to guide each dive, and we keep our groups small by taking a maximum of 6 divers. And don’t forget the short boat rides! We’re close enough to bring you ashore for your surface interval, and you’ll still have most of the day ahead of you after your two morning dives. Mauna Lani Sea Adventures, and let us help you have the experience of a lifetime!